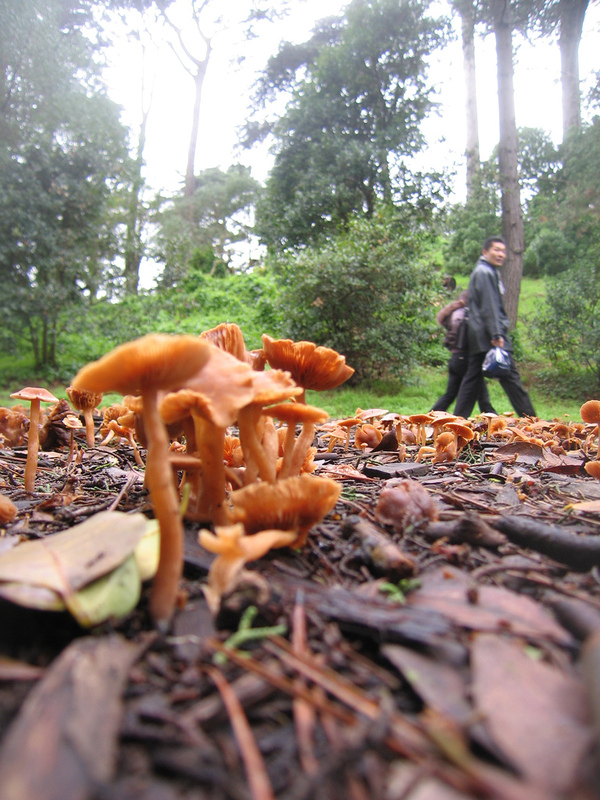 Foraging is making a comeback, with ever more people eager to find food in the wild. But with a growing population and diminishing natural resources, is it a sustainable practice? Jonah Raskin, author of books and articles about food, farming, and agriculture, will address this issue. Jonah Raskin is the author of 14 books, including most recently, “Field Days: A Year of Farming, Eating, and Drinking Wine in California” and “Marijuanaland: Dispatches from an American War.” He has written about the ethics of foraging for Bay Nature. You can read more about this in a Bay Nature article from Apr/June of 2012: The Forager’s Dilemma. “Commuturalism” I’ll define as using ones commute as a time to practice being a naturalist – to paying attention to the nature I find on my commute. I’m lucky to live in a city where I have a job to which I can bike or walk. My interest in ravens started in earnest a few years ago. 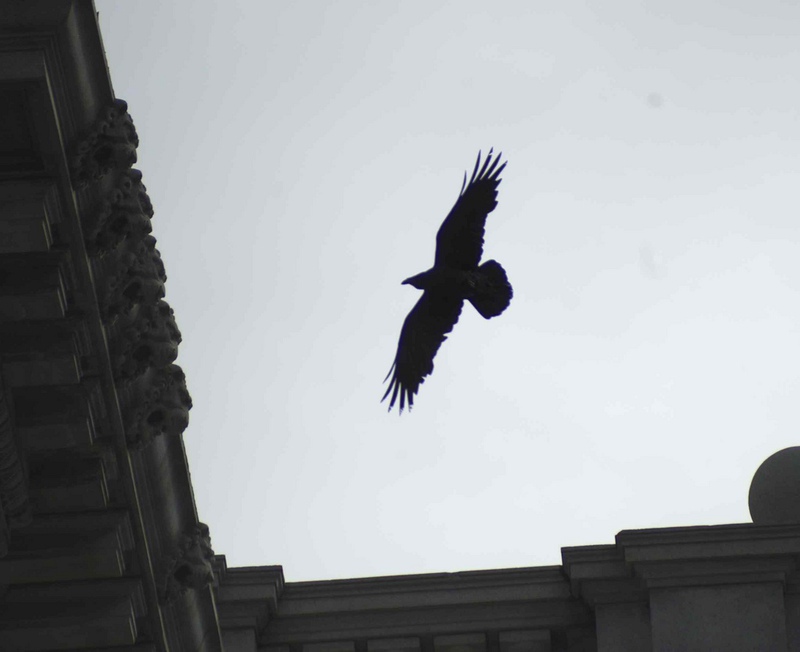 I stopped to watch a raven flying at 7th and Mission above the plaza of the new federal building. It was a beautiful thing. 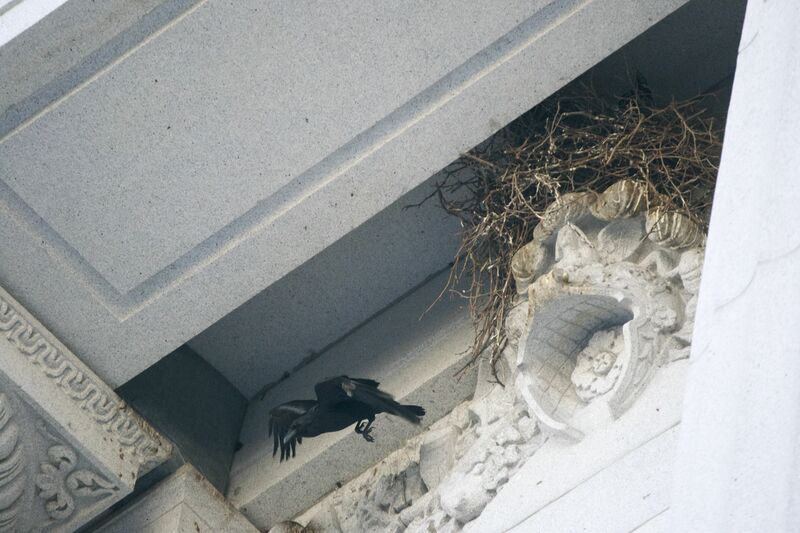 What really got my attention though was when it flew into a nest high up on a federal courthouse. For the next couple months, I stopped by nearly every day to watch the progress of a raven pair, bringing up 4 nestlings into the world. After they’d flown, I started to pay more attention, and as the year passed I started to write things down, and started to ask questions. The first most obvious question: would they come back? The other thing that kept me going, was something I’ve learned over time at all these other lectures I’ve come to, and had a hand in arranging (full props to Philip Gerrie for that task). That is how often a question comes up to which the lecturer doesn’t know the answer. And as I started to read about ravens, I felt there were plenty of gaps, plenty of things that all these information sources didn’t talk about. And those ravens did come back, until they were driven off by crows. Which lead to more questions, and the need for me to actually be able to differentiate the two. I began altering my commuting route, and eventually found another pair of ravens, and then a couple more. This year, I found 11 active nests mostly on the north eastern side of the city, with a couple outliers in the south. 6 of these nests were on trees, 1 was on a ship, 1 was on a sign, 3 were on buildings, and one was on a bridge. In the lecture, I talked about the history of ravens in general, their distribution, and their distribution and numbers here in San Francisco. I spent a good portion of the lecture going over the difficulties of identifying a raven and a crow. Ravens are bigger, have massive beaks, longer wings, a wedge shaped tail that’s more ragged when straight. However all these clues can be meaningless when the bird is not that far away. There are other clues: behavioral – ravens fly higher and will ride thermals , crows tend to nest with some helpers, raven nests are more visible. I’ve found the easiest way to find a raven, and sometimes the only sure way to know, is by sound. Ravens have a much more varied sound range, and calls that are distinct from crows. I spent the last third of the lecture going through the lives of the ravens I’ve met, talking about how they nest, the odd choices they seem to sometimes make, the difficulties that the parents and nestlings have. I spoke on what they eat, where they sleep, and how they raise their fledglings. We ended the talk with talking about some of the problems ravens cause putting more pressure on populations of ground nesting birds in particular – the snowy plover chief among them. Ravens are here in numbers now because ultimately we leave a lot of food around for them, but as smart, opportunistic creatures, that is not the only thing they’ll eat. I suggested at the end of the lecture that what we need is better data, in particular about their overall numbers, and their habits through the city: how the flocks move, to where, and when. If your interested in helping out, or if you have any information about raven nests, or roost locations, please drop me an email at acotter@nonsensical.com. P.S. Thanks again my colleague Philip for trusting enough to let me speak, and thanks to my wife for putting up with my strange outings, and capacity to stop dead in the street to listen to birds. When Glenn Lym first moved to SOMA, as an architect he quickly noticed that things were a little out of whack. Buildings tilted here, streets cracked there – nothing was straight. As he began to look into it, what unfolded was a story of how downtown San Francisco was changed from a field of dunes to a street gridded flatland. Of course, that’s hard to imagine these days. It’s hard to think that our Market street — along more or less flat straight shot to the wharf — was a non-obvious even audacious idea. The truth is that downtown was the last stop of the sands being blown across the peninsula. To make the gridded streets we have today, road builders had to cut through huge sand dunes. Glenn made this more real through photos and a 3D model he’s built using maps done by U.S. coastal surveys around the time of the Civil War — the dunescape was an important feature of the land. The dunes in those days were thought of as being the abode of thieves and vagabonds, not something to be preserved let alone protected. They were slowly and surely carried off and used as fill to further expand the city, the 60′ dune at 2nd and Market, the 120′ dune further up Market. Glenn talked about the development of SOMA, Rincon, Happy Valley — the chief residential area of the city for a long time –, the Hayes street marsh upon which many of those sinking SOMA buildings are built on, the private plank roads that were built out over the sand to the flat and desirable Mission area. The sand reached the edge of the Mission district, Glenn showed a picture of Woodward Gardens built on a dune. But it was not the dunes alone that were removed, things like Rincon Hill and the Clinton mound were good solid rock. It is amazing to think of the effort, industry, and vision required to do all of that — in such a relatively short period of time changing the face of this place. It seems like we would be hard put to recognize this place if we had a chance to go back. Part two is also available on YouTube. Or you can watch it in higher resolution in its entirety on Glenn’s site. Also worth watching, are Glenn’s other videos from his HERE series.